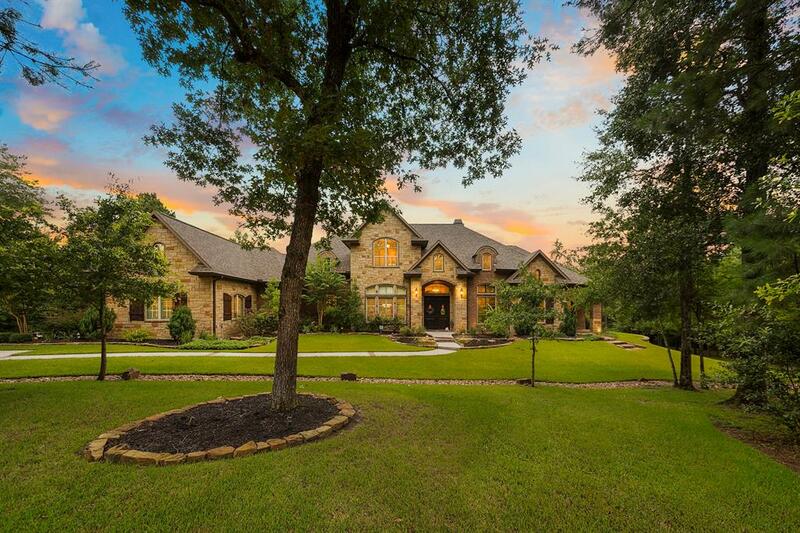 This Heartwood Custom Home on 2.2 acres in High Meadow Estates is rich in design and bespoke details, including sumptuous wood flooring, wood beam and coffered ceilings, 3 fireplaces, plantation shutters, custom cabinetry and shelving throughout, brick accents, and granite countertops. The chef’s kitchen is an entertainer’s dream with an island, separate bar with walnut top, double oven, Thermador stainless-steel appliances, and ample storage space. Find peace and tranquility in the master suite which boasts a walk-in closet with built-in shelving, dual vanities, oversized tub, and separate shower. The backyard is the epitome of luxurious outdoor living, featuring a large patio with wood paneled ceiling, outdoor kitchen, sparkling pool, and spa. Property also includes pre-wiring for security system, front and back landscape lighting, 29-zone sprinkler system, custom workshop with full bathroom, and a 3-car garage with epoxy flooring. You’ll love what this stunning home has to offer.